Headlines, hot news, and conversation starters on March 30, 2016! 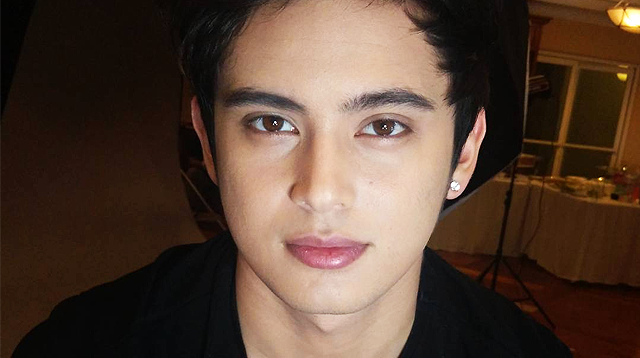 1 James Reid has reacted to the article "How To Be Nadine Lustre" published on the lifestyle website Preen. The story, which has since been taken down from the site, went viral after fans of Nadine Lustre violently reacted to the satirical piece. The feature was reportedly about how Nadz won over her leading man. James then took to Twitter to defend his real-life GF and tagged the writer Jacqueline Arias. If you wanna find love, be someone worth loving. 2 Here’s your first look at the John Lloyd Cruz and Jennylyn Mercado romantic comedy! Star Cinema released the official poster of the blockbuster stars’ first movie together Just The 3 Of Us. The much-awaited film will be released this summer. 4 If you ever wondered how Daisy Ridley landed her role as Rey in Star Wars: The Force Awakens, then you’ll finally get your answer. The relatively unknown Brit actress was launched to stardom when she was cast as the lead heroine in the latest Star Wars flick, and now, here we have Daisy’s just-released audition video. And yup, she’s gooood. 5 Julia Roberts, Jennifer Aniston, and Kate Hudson have all teamed up for a new lighthearted film Mother’s Day. The comedy tells the story of different kinds of moms whose lives intersect on that one special day. It looks like this movie is perfect for some mommy and me bonding! Watch the trailer below.